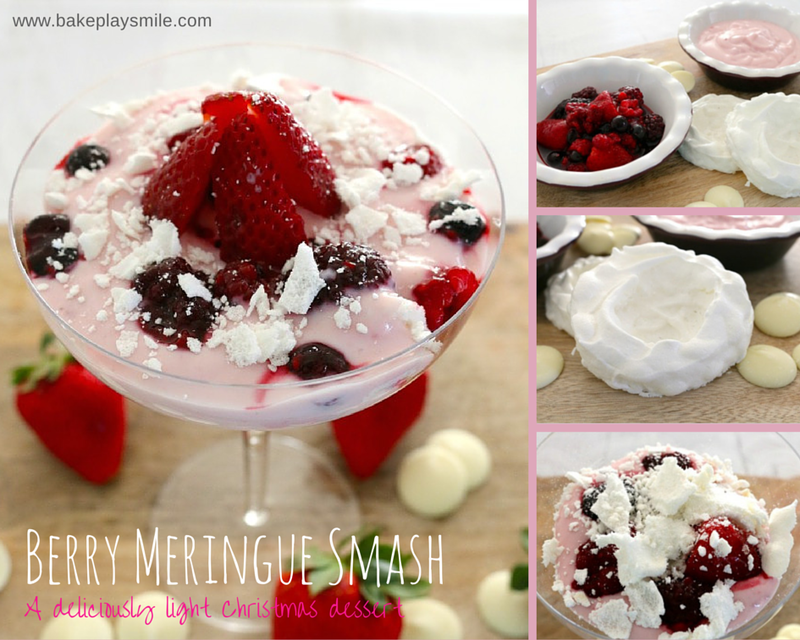 Berry Meringue Smash is a fresh, light and healthier Christmas dessert made with fresh berries, crushed meringues and berry flavoured yoghurt! I’ll be the first person to put my hand up and say that over the silly season I overindulge… like way overindulge. I’ve been known to eat chocolate while opening presents on Christmas morning, and by the afternoon I’m ready for a nap (as in a ‘I-have-to-lie-down-because-I’m-so-full’ kind of nap!). And while I love my cheesecakes, mousse cups and chocolate truffles, sometimes you just need a bit of a lighter dessert to get you through the crazy Christmas period (especially if you have lots of different Christmas celebrations to go to). 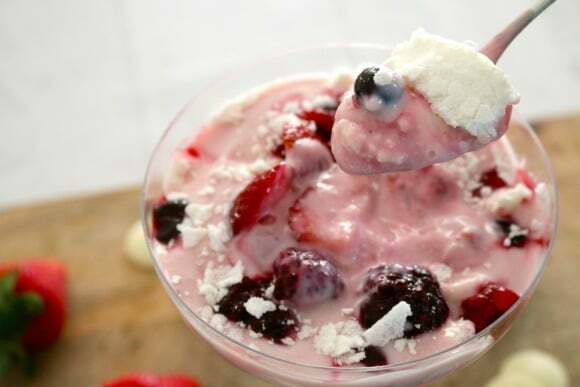 My Berry Meringue Smash is the answer to all your food hangover worries! So this really is the perfect ‘lighter’ Christmas dessert. It may be lighter in calories but it’s certainly not any less tasty! Well actually a salted caramel chocolate cheesecake may be tastier (but let’s not be silly now). 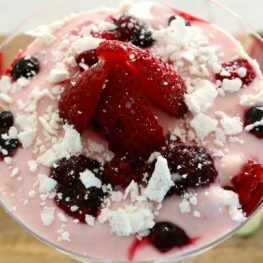 You can enjoy this Berry Meringue Smash without worrying that it will be hanging around on your hips well into the new year. 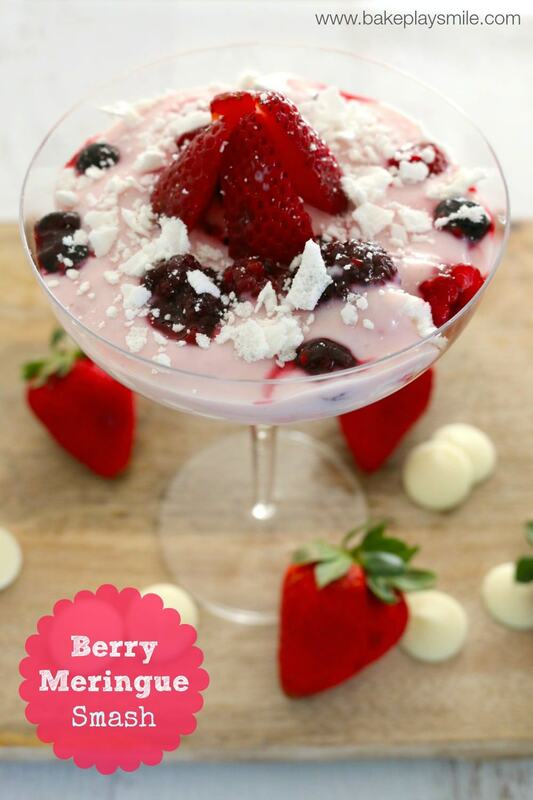 My mother-in-law introduced me to Berry Meringue Smash a few years ago – it’s so simple and totally moorish. She would always make it with whipped cream, but I’ve substituted the cream for yoghurt and I actually like it even better. 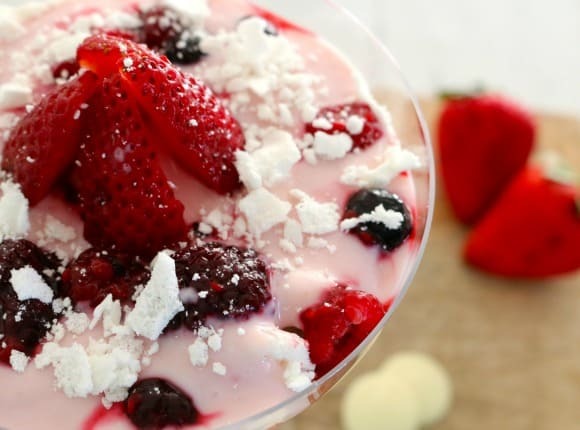 My Berry Meringue Smash is full of crunchy little pieces of meringue, layered with deliciously creamy berry yoghurt and fresh berries. The thing I love about this dessert is you don’t have to worry about making it look pretty because it’s meant to look ‘smashed’. It’s like a totally acceptable excuse for being a really messy chef. I love it! I made my meringues in the Thermomix using the EDC recipe, but that’s only because I wanted to play around in the kitchen for a bit. If you’re making these before Christmas, I would definitely suggest just buying the meringue nests from the supermarket. Seriously… same thing – way quicker. 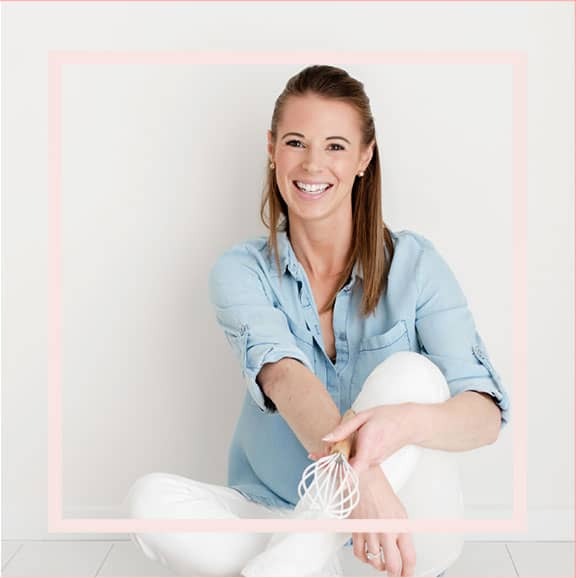 And if you have oodles of time in the lead up to Christmas there is either something very wrong with you, or you’re crazy organised (in which case I think you’re fabulous!). 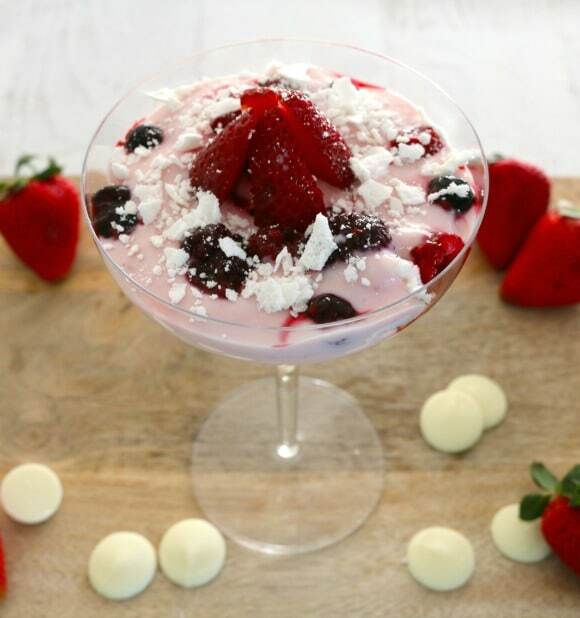 So to serve the Berry Meringue Smash you need 4 small glasses or bowls. I used these cute cocktail style glasses I found at the op shop. Divide 1/3 of the meringues into the base of the glasses. 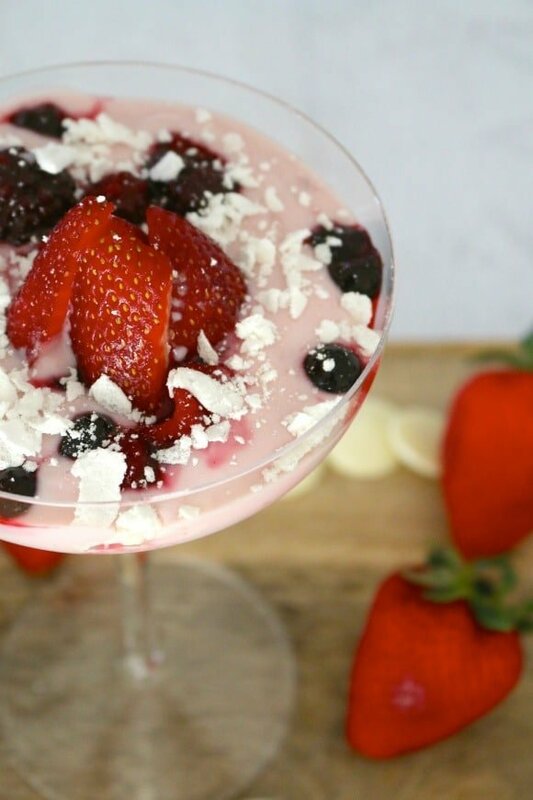 Layer with 1/3 of the yoghurt and 1/3 of the fresh (or defrosted) berries. Now if you want to be a bit cheeky – and really, who doesn’t! – roughly chop up a few squares of white chocolate and pop them on top. Repeat with another two layers using the remaining meringues, yoghurt, berries and chocolate (if you’re using it). 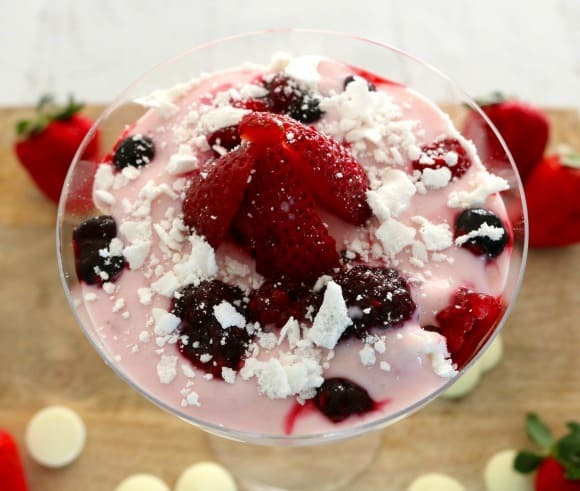 If you’re catering for a large number of people, then it’s a great idea to make lots of tiny Berry Meringue Smash’s using shot glasses or small mason jars. Sprinkle a teensy bit of meringue over the top to give it a ‘snow touched’ look, then pop a little spoon in and you’re all set. Such a quick and easy no-bake Christmas dessert that’s much lighter and healthier than most other Christmas desserts. And you’ll be needing to save your calories for those sneaky Christmas cocktails (oh and if you’re me, a piece of Mum’s cheesecake too!). Berry Meringue Smash is a light Christmas dessert made with fresh berries, crushed meringues and berry flavoured yoghurt - perfect for those looking for a deliciously healthy treat! Divide 1/3 of the meringues into the base of 4 small glasses. Layer with 1/3 of the yoghurt and 1/3 of the fresh (or defrosted) berries. Add 1/3 chopped white chocolate (if using). Repeat with another two layers using the remaining meringues, yoghurt, berries and chocolate (*chocolate is optional). Sprinkle a tiny amount of meringue over the top and serve. I love this as a healthier option during all the festivities, yet still so perfectly Christmas-sy. Those colours just speak Christmas! Yum! Red and white are my favourite colours and the colours of hubby’s favourite football team – winning! I love how this is (relatively) healthy, easy and delicious! Red and white’s alright!